Elegant glass doors for indoor spaces, which consist of detachable aluminum frames with oval cross-section, capable to embrace walls of 7,2 to 13cm and 12,8 to 18,5cm in thickness. 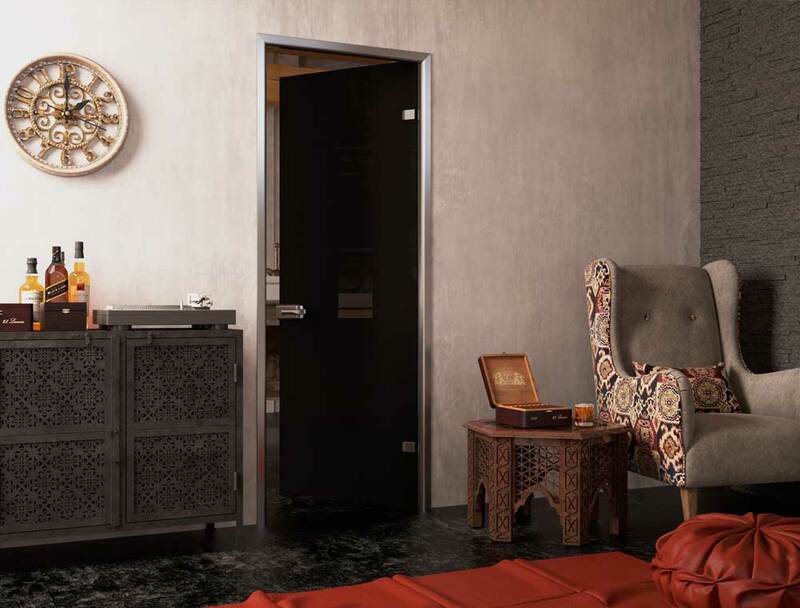 Minimalistic design, unlimited combination of colors and designs, creating the exact desirable door. The perimetrical profile bear elastic sealing gaskets, while the glazing used is tempered 8 to 12mm in thickness, on which specialized heavy duty accessories are mounted. Regarding either a professional space, or a residence, indoor glass doors can be modified to entirely cover users’ needs and desires for good design. Matching aluminum profiles made for windows are also available, as part of a more integrated, more uniform design solution for your space. Minimalistic aesthetics: Minimalistics design, endless range of combination of colors and designs.